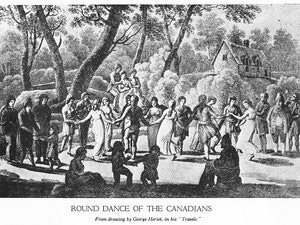 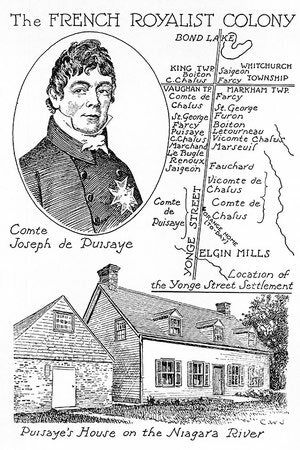 In 1797 Count Joseph de Puisaye, a refugee from the French Revolution, laid a plan before the British Government for the settlement of a number of French Royalist émigrés on lands to be granted to them in Canada. 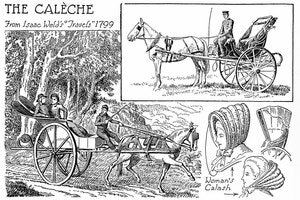 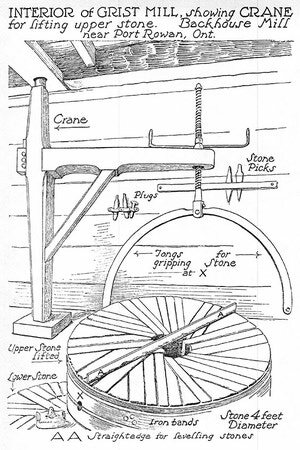 The Caléche was a two-wheeled vehicle in use in Lower Canada, similar to the one-hoss shay, or chaise of New England with the addition of a seat in front for the driver. 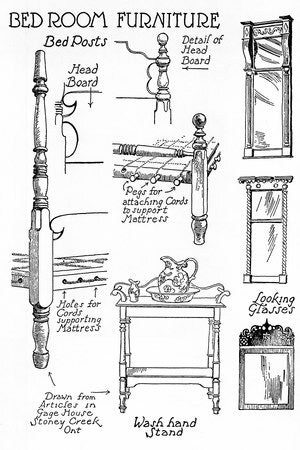 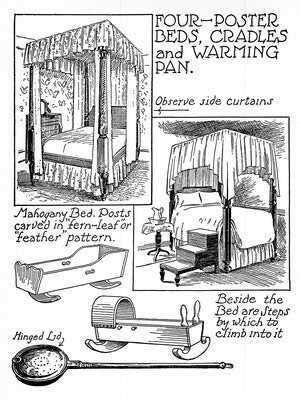 Bedsteads were furnished with a canopy, called a tester, and side curtains which could be drawn close to keep out draughts and night air, which was thought to be harmful to health. 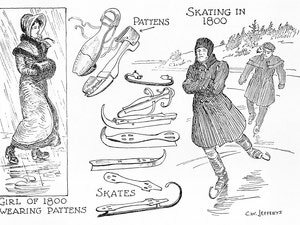 Skating in 1800, Girl of 1800 wearing pattens. 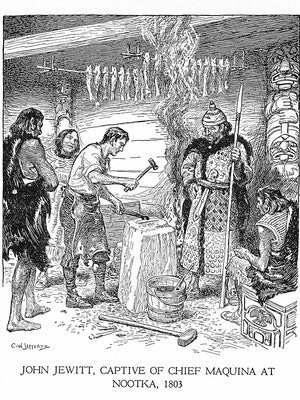 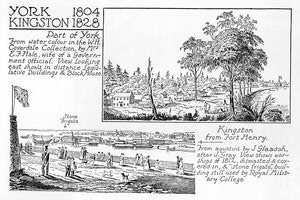 In March, 1803, the ship Boston, of Boston, Massachusetts, arrived in Nootka Sound, on the west coast of Vancouver Island, to trade with the Indians. 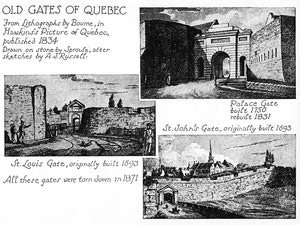 The plan of the fort is taken from a survey made by Col. Nicolls of the Royal Engineers. 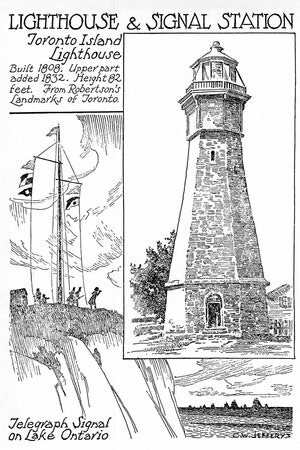 The fort was reconstructed in 1932-1934 in conformity with this plan of 1816. 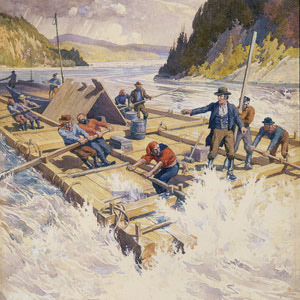 The first raft on the Ottawa River was conducted by Philemon Wright, from Hull (of which he was the founder), to Montreal, in 1806. 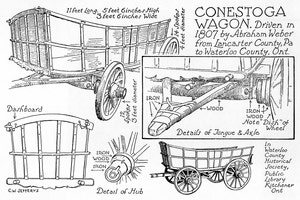 The Conestoga wagon was so called after the Conestoga Valley in Lancaster County, Pennsylvania, where this type of vehicle was developed. 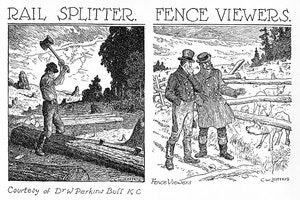 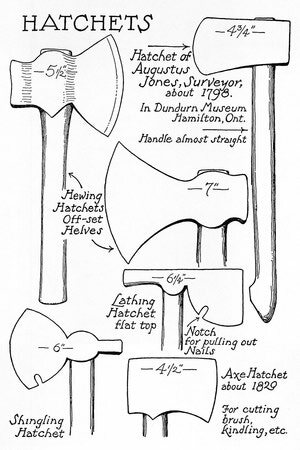 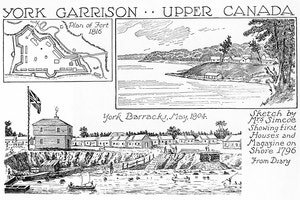 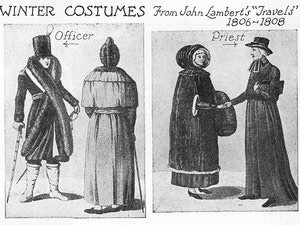 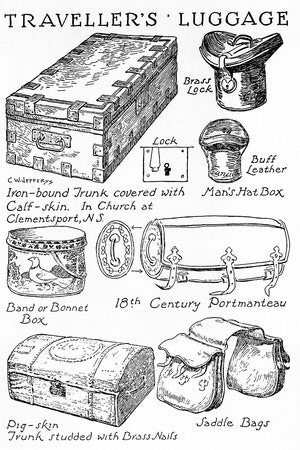 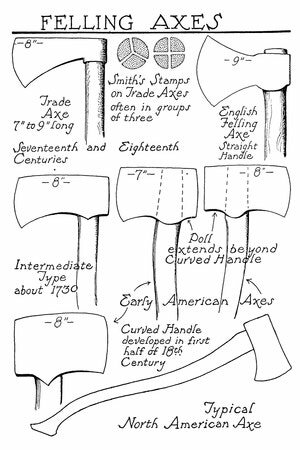 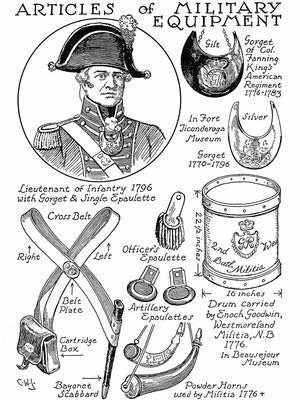 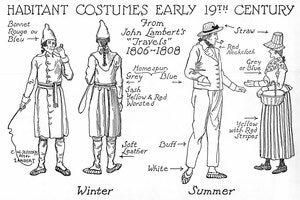 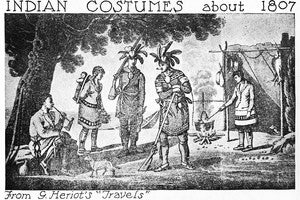 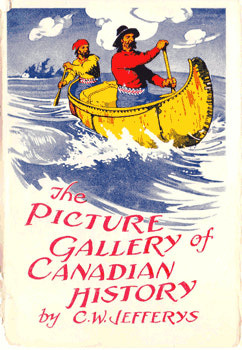 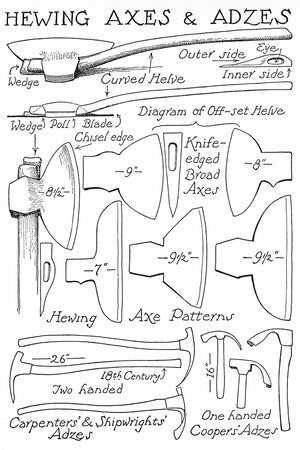 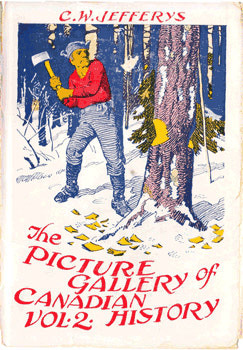 These illustrations show the clothing worn in Lower Canada a century and a half ago. 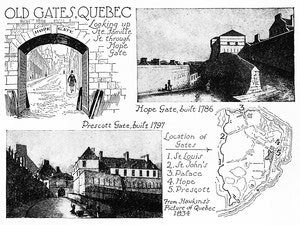 For walking on the slippery streets of Quebec cloth shoes, or stockings worn over ordinary shoes, were worn.